Register your Kroger Plus card to help raise money for Boys & Girls Clubs of Maury County. To register your Kroger Plus Card, please click HERE. If you already have a digital account, sign in. Otherwise, click Create An Account. Make sure you enter your Kroger Plus card number when prompted. Under the Community Rewards section, enter JG938 for Boys & Girls Clubs of Maury County. Once set up, you will be supporting us with every swipe of your Kroger Plus Card! Register your Amazon account with AmazonSmile and Amazon will donate donate 5% of your purchase price to Boys & Girls Clubs of Maury County. 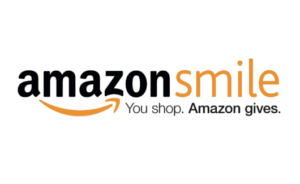 AmazonSmile is a simple and automatic way for you to support your favorite charitable organization every time you shop, at no cost to you. When you shop at smile.amazon.com, you’ll find the exact same low prices and selection as Amazon.com, with the added benefit that Amazon will donate a portion of the purchase price to Boys & Girls Clubs of Maury County!To shop at AmazonSmile simply go to smile.amazon.com, search for Boys & Girls Clubs of Maury County, and select our organization as your charitable organization. Only purchases through AmazonSmile will result in a donation. When shopping with Amazon please remember to use smile.amazon.com to support the Club. Want to help the Club by donating much-needed supplies? Shop our Amazon Wishlist to see our list of most frequently used supplies. By purchasing supplies from our Wishlist, the order will be delivered right to the Club directly from Amazon with just the click of a button! Your donations will support our Club members AND our hard-working staff who are making a difference in the lives of our young people. To shop our Amazon Wishlist, click here to see a list of our currently needed supplies. Questions? Email info@bgcmaury.com for assistance or for more information. You Teach Our Kids How to Read – Thank You!